Mara Cummings is Senior Vice President of Global Real Estate Planning & Development at Discovery Communications. Leading a global team across the US, UK and Asia, Mara is responsible for the strategic design, development, procurement and utilization of Discovery’s $60M real estate portfolio of 75+ offices across 36 countries worldwide. 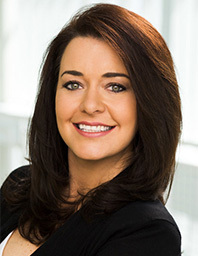 Prior to leading the global function, Mara held multiple leadership and program management positions across facilities, real estate and information technology during her nearly 12-year tenure at Discovery and 8-year tenure at Verizon Business (formerly MCI/Worldcom). With a diverse background in real estate, technology, construction, strategic planning and property mergers & acquisitions, she's led projects equally as diverse – from leased portfolio strategies to the construction of onsite wellness and childcare centers, live broadcast sets to multi-building restacks and Agile workplace strategies, she's cultivated a global team that adapts quickly to the dynamically changing needs of a global, multiplatform media business. Based within the company's London office, Mara is an active member of both the Corenet Global UK and US-MidAtlantic chapters and former chairperson and co-founder of both the Women’s Leadership Group and Toastmasters chapter at Discovery. She graduated with honors from Virginia Tech with a degree in Biochemistry, to which she credits her passion for molecular gastronomy. Mara has been featured in Property Week – Annual Occupiers magazine and can be contacted at www.linkedin.com/in/maracummings<http://www.linkedin.com/in/maracummings .